Constructed of precision cut high grade aircraft aluminum, Gorilla Pliers are light weight and super tough. Tungsten coated cutters for line and leaders. 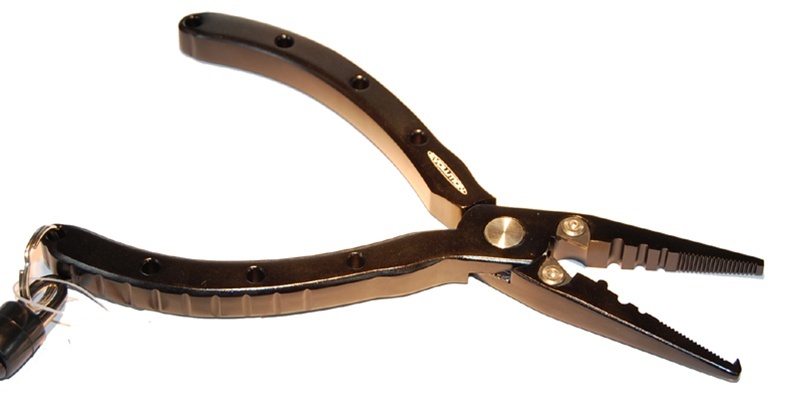 These pliers are designed to cut braid, mono, and light-wire. Gorilla Pliers have a one year warranty and are packaged with a high impact nylon sheath and lanyard. These Gorilla Pliers measure 6.5" and feature a split ring plier nose, crimp, and hook holder.